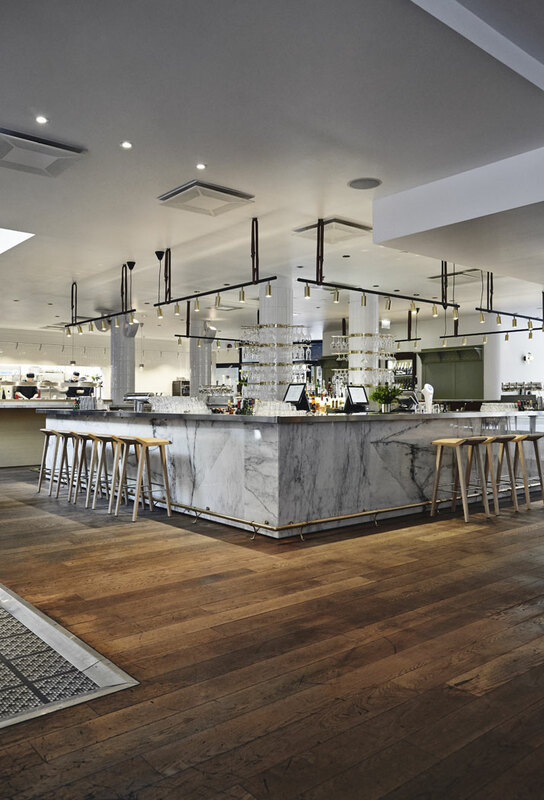 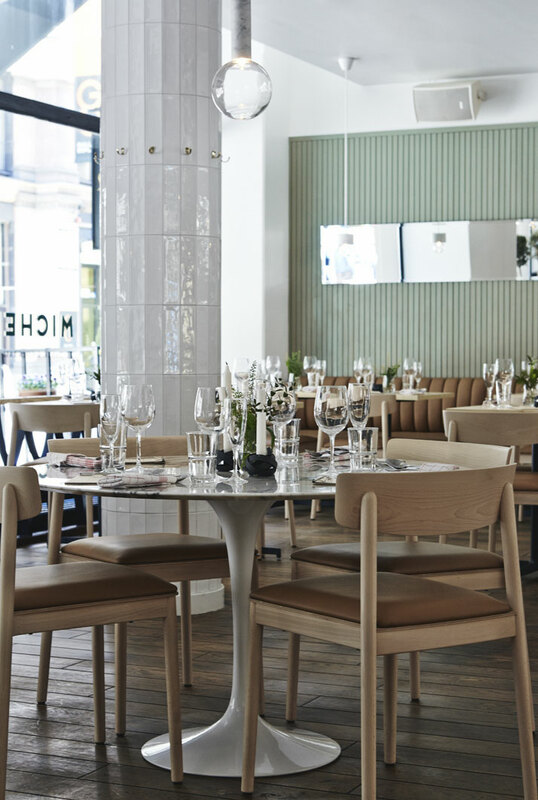 Finnish interior designer Joanna Laajisto designed & renovated the new Michel Restaurant & Cocktail Bar in Helsinki, Finland which opened last April. 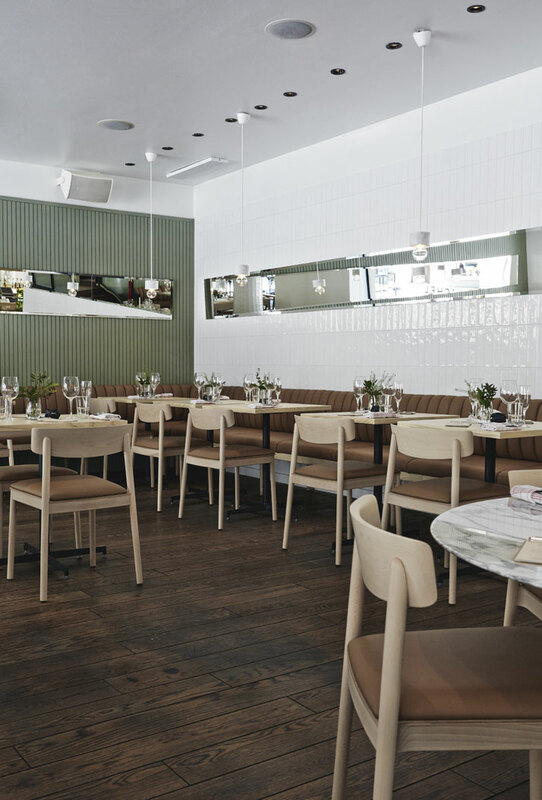 it was previously a restaurant known by the name of König. 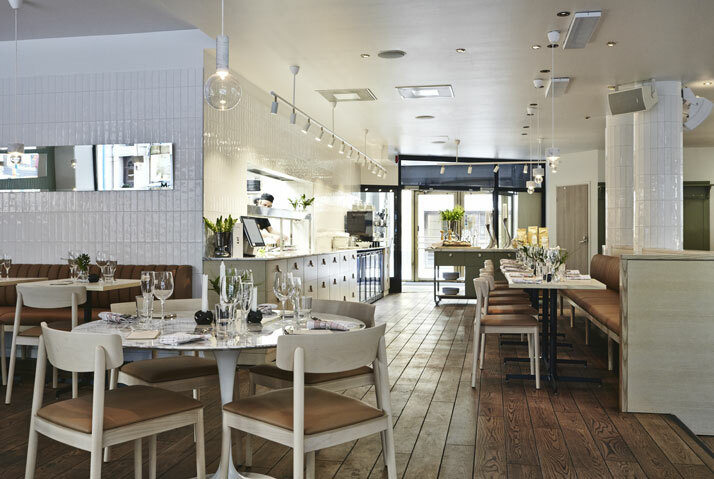 The restaurant is located in the city’s shopping district making it very convenient. 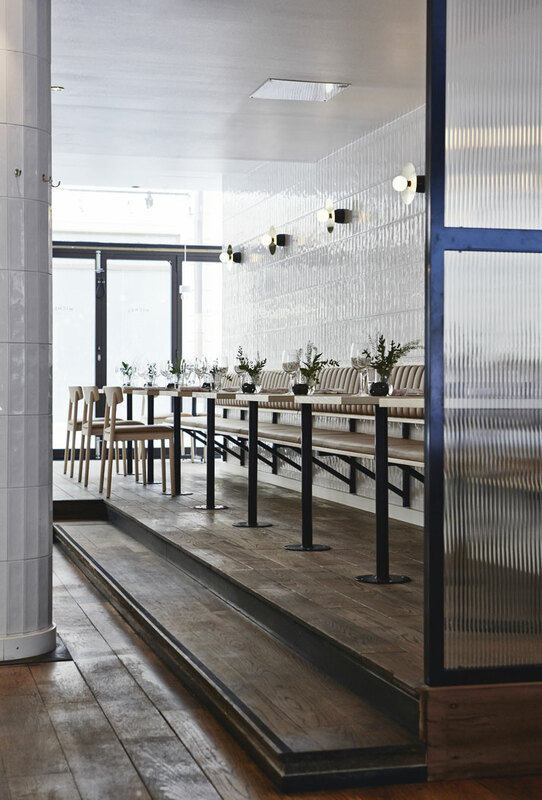 The design is very toned down making it comfortable yet stylish to go to any time of the day. 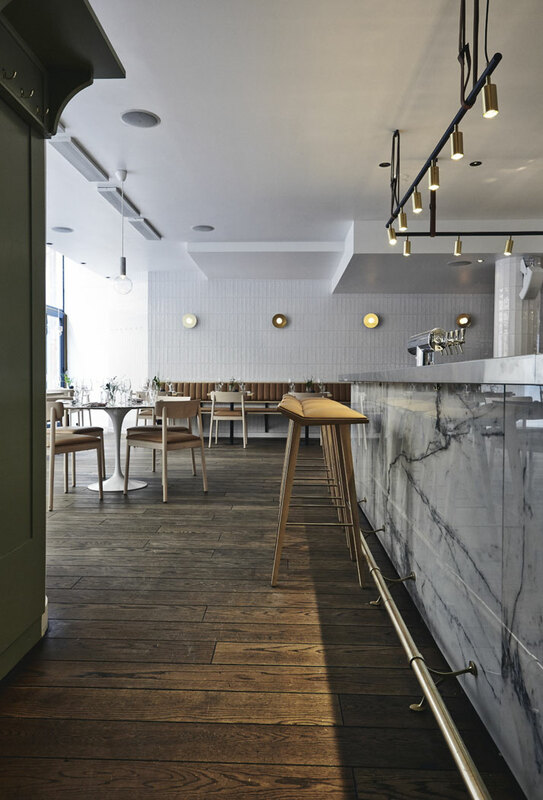 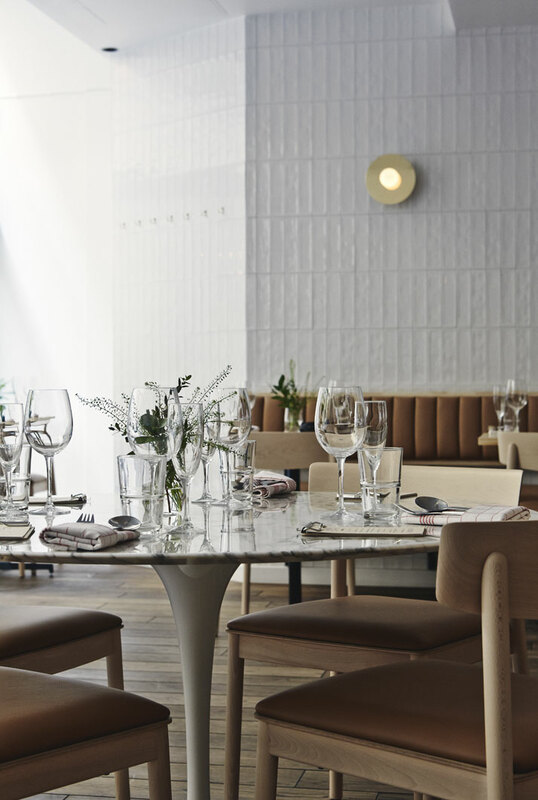 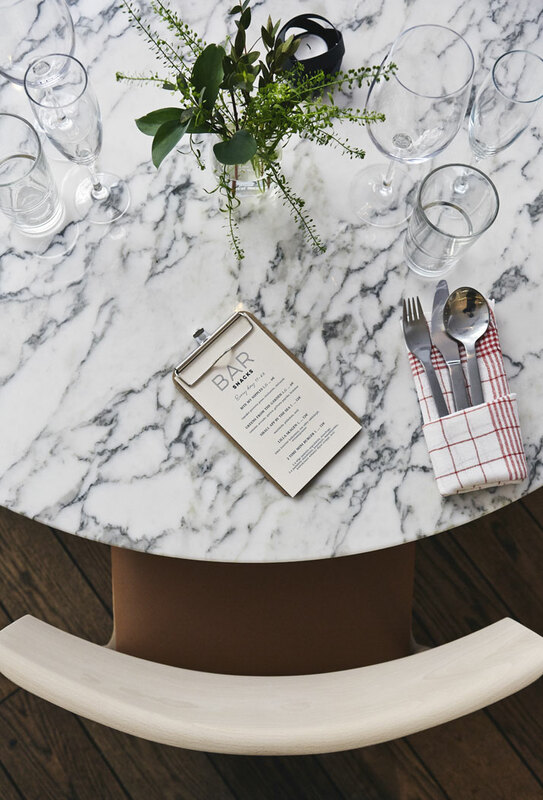 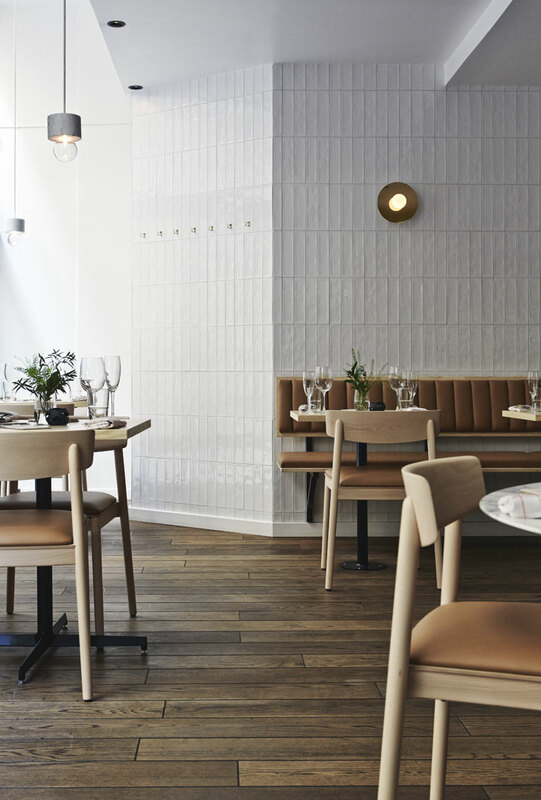 With neutral designs, Danish vibe, and casual trends going on, this restaurant is a perfect reflection of what people are looking for in a dine in experience these days.